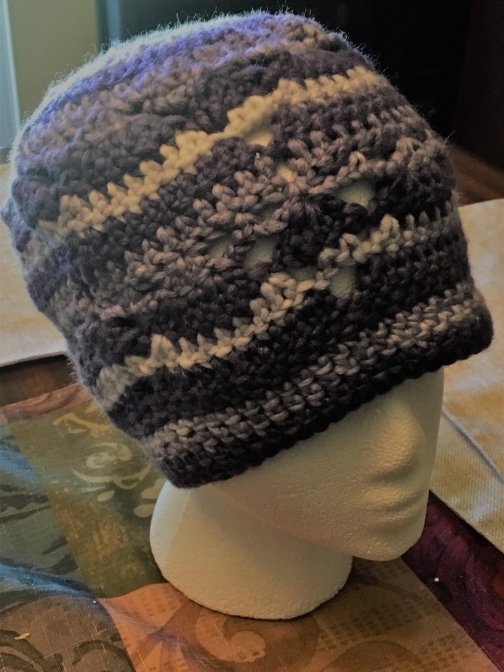 Crocheted hat in multiple colors of purple and white. 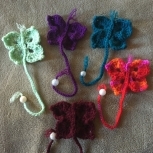 Hat was made with Loops & Threads Powdery Acrylic Yarn. 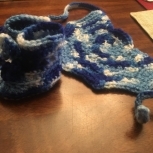 Hat is very warm and would be great during winter or cold weather. 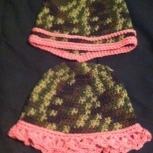 Hat was made with a double crochet shell pattern with a 3 double crochet band in different purple colors. Made in a non-smoking environment. 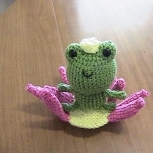 Approx size: 9" length x 22 1/2". Hat was made for teen to adult. Care instructions: Hand wash and lie flat or gentle/delicate cycle. 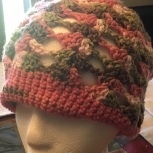 Hat might stretch with wear or can be stretched by blocking once wet or after washing.